Caliber Homes resale with over 3,000 sq ft finished is ready for you! 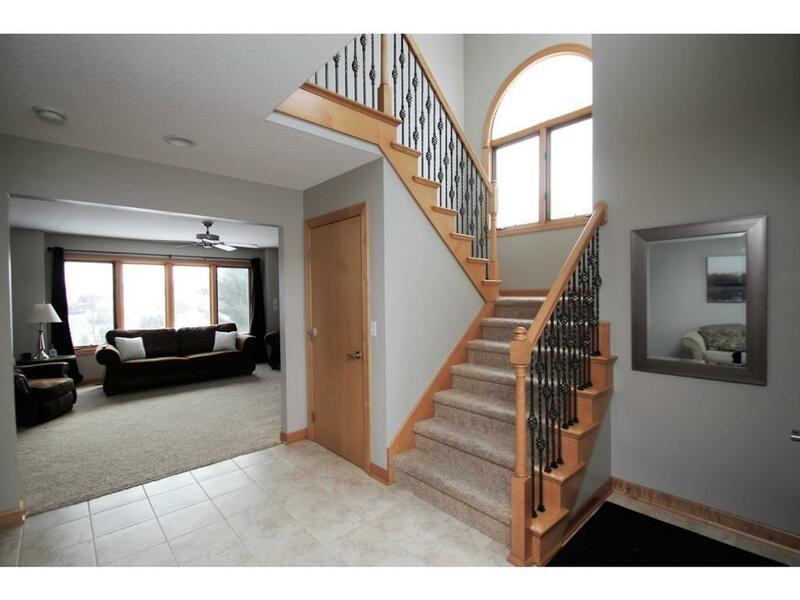 Open foyer showcases a switchback staircase with soaring ceiling & large windows allowing in generous natural light. 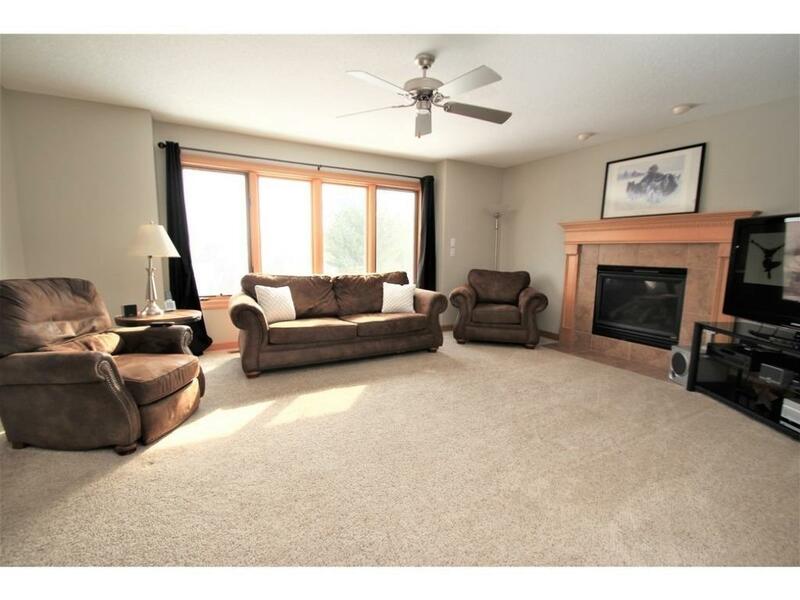 Family room with fireplace & huge south-facing window is open to dining area & kitchen. Kitchen offers ample countertop space with room for 4 bar stools,double-wide pantry closet, & sliders to deck overlooking backyard. Next to kitchen is laundry/drop zone with access to 3-car garage. 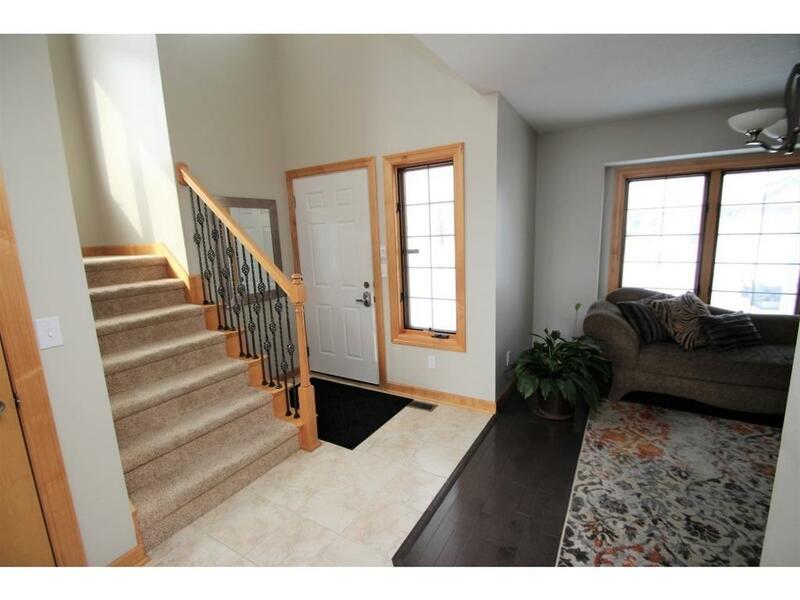 2nd level boasts 4 bedrooms including a master suite with vaulted ceiling & His/Her closets. Master bath includes bubble tub,double sink vanity, & water closet. Lower level WALKOUT features 850sf finish & includes family room,custom bar big enough for 4 chairs,5th bedroom,plus 3 storage areas. Sliders lead to huge patio thats quiet with no backyard neighbors. 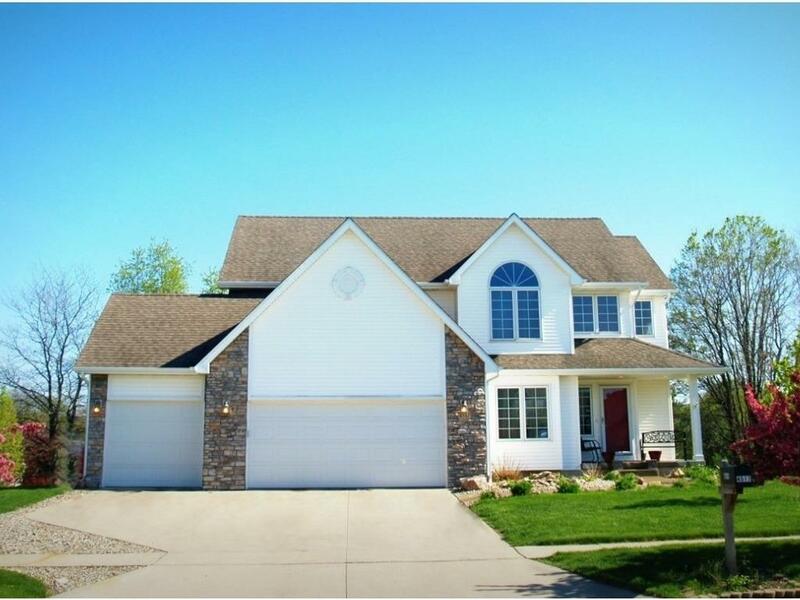 Fully landscaped yard includes fountain/pond. Extra storage shed. Located on the SW side of Ankeny (South Schools). Commuters dream with quick access to Des Moines.